This site was designed to be a resource for use when contemplating a loan to finance real estate. A mortgage typically represents the largest liability for most homeowners or investors. Decisions made with respect to how you finance your purchase, or the type of mortgage you select have an impact on what we refer to as your "retirement horizon" - these decisions can shorten or lengthen the time that it takes you to achieve your ideal retirement picture. So, whether you're contemplating a new loan, refinancing, or wanting to use a Reverse Mortgage, allow us to help you navigate today's real estate financing market to your long-term benefit. 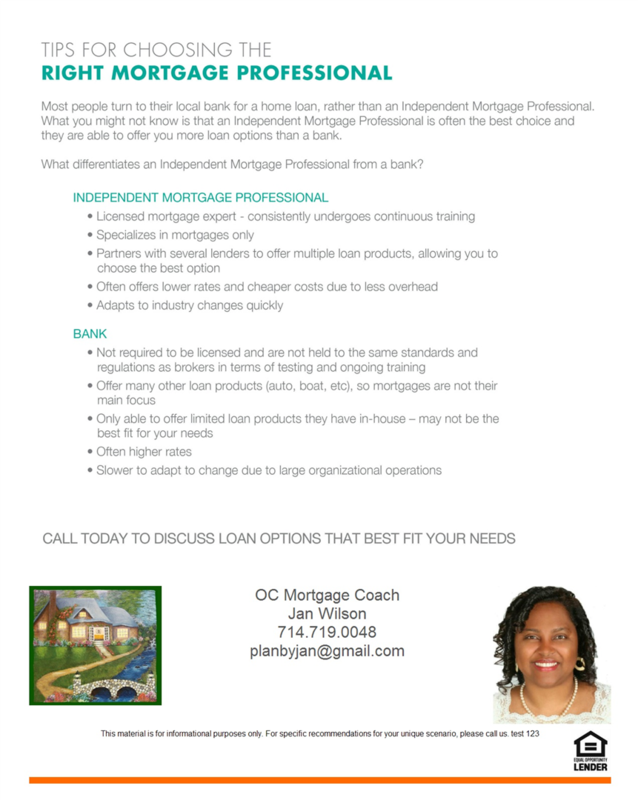 Click here to learn more about the principal loan officer, Jan Wilson. Why Choose a Broker versus the Bank? Click on this link for great reasons why. Mortgage 101 - visit this handy resource for definitions for commonly used mortgage terms. 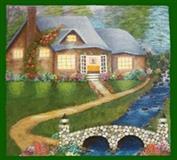 Mortgage Rates - this site allows you to get a general view of current mortgage and refinance interest rates by state. Don't get lost in all the ads - if you want to know the interest rate customized to your specific situation, please call Jan at 714-903-7750. Your Credit Report - click on this link and for our Free Report entitled "BUYERS: How To Find Out What Is In Your Credit Report." 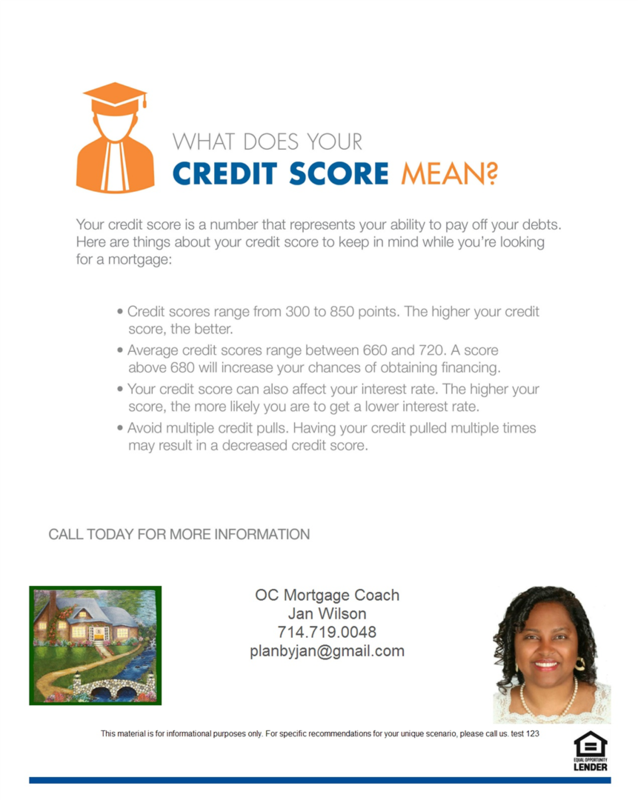 What Your Credit Score Means - read this brief snip about importance of your credit score. 6 Things Not-To-Do - avoid doing these six things when applying for a loan. 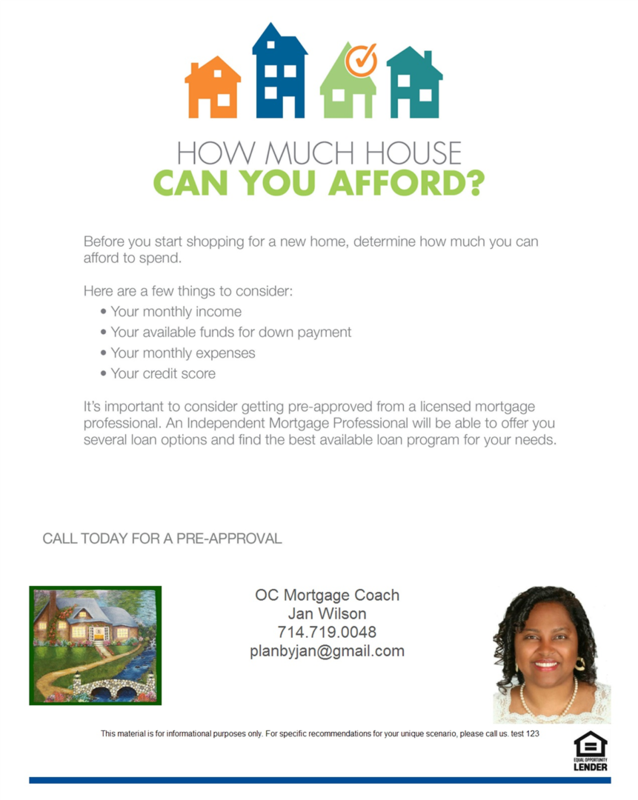 How Much Can You Afford - see some brief tips on affordability. 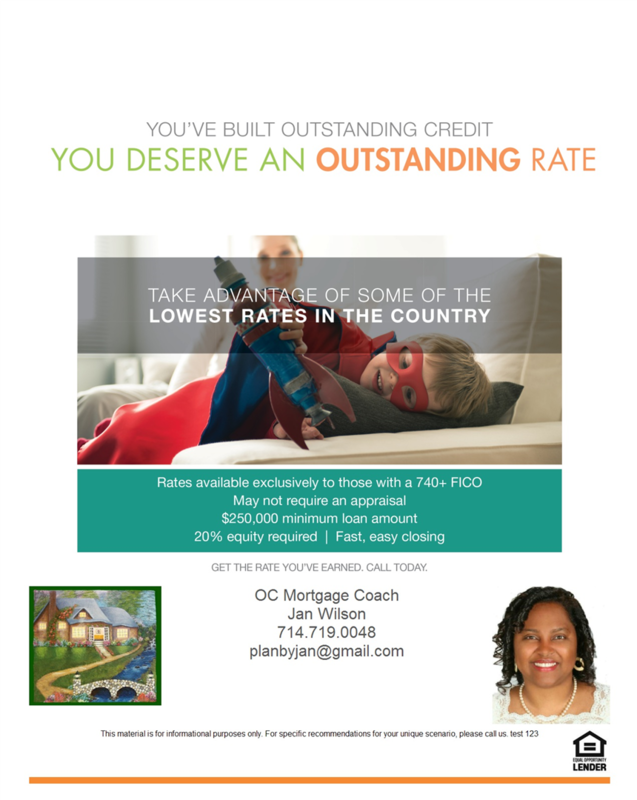 Do You Qualify for our Best Rate? see if you have what it takes to qualify for some of the best rates available. 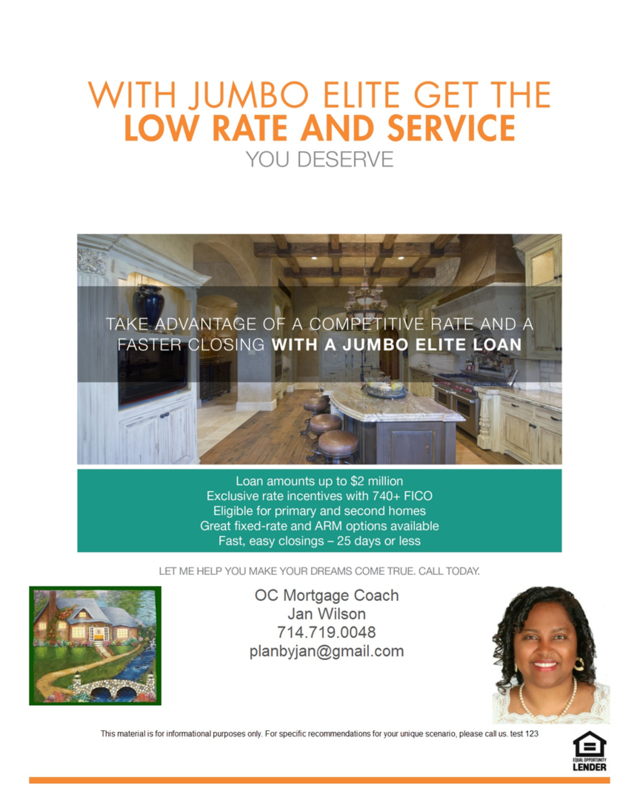 Do You Need a Jumbo Loan? - check out our great loan programs for high loan balances. Mortgage Calculator - easily calculate monthly payments with handy amortization tables. Apply for a Loan - complete the requested information so we can quickly prequalify you for your new loan. About the Loan Process - this quick guide gives a general overview. 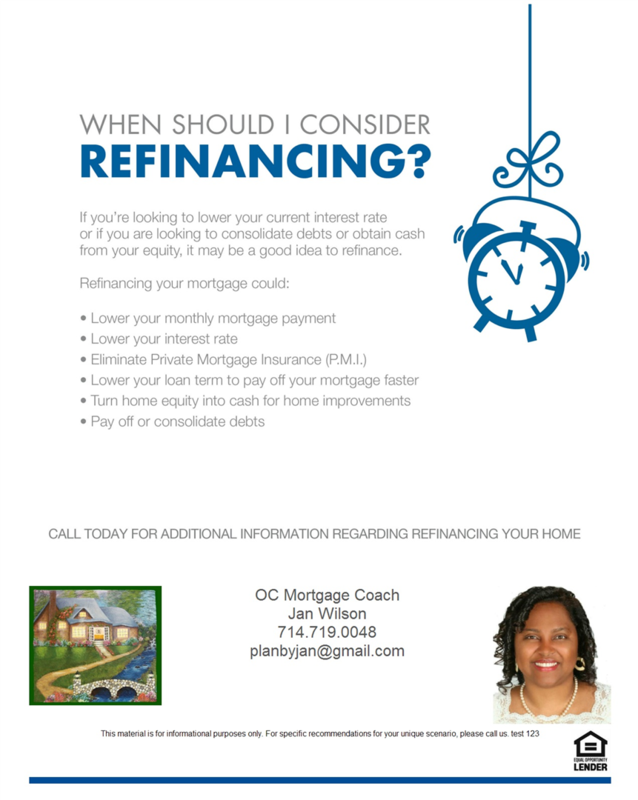 Why Refinance? - check out these common reasons. 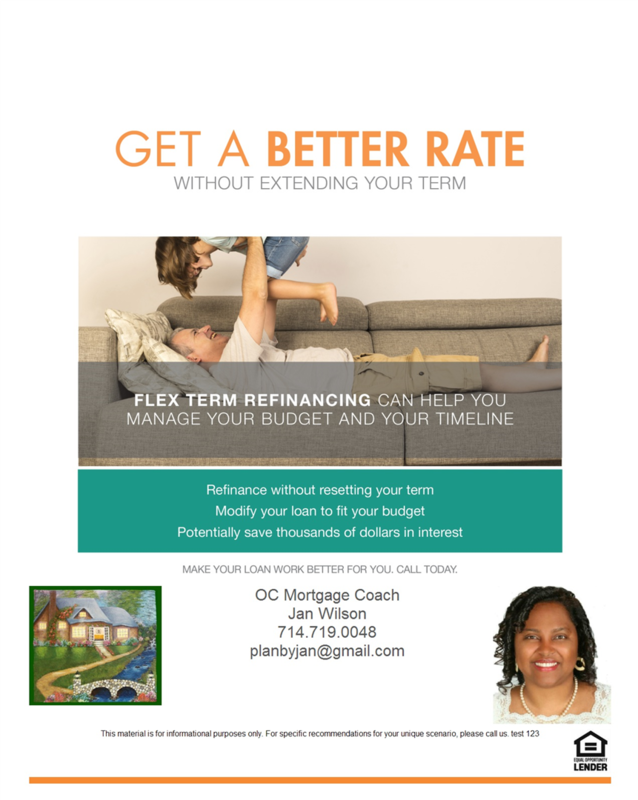 Get a New Rate, but keep Your Old Loan Term - many people don't want to start over with another 30 year mortgage. 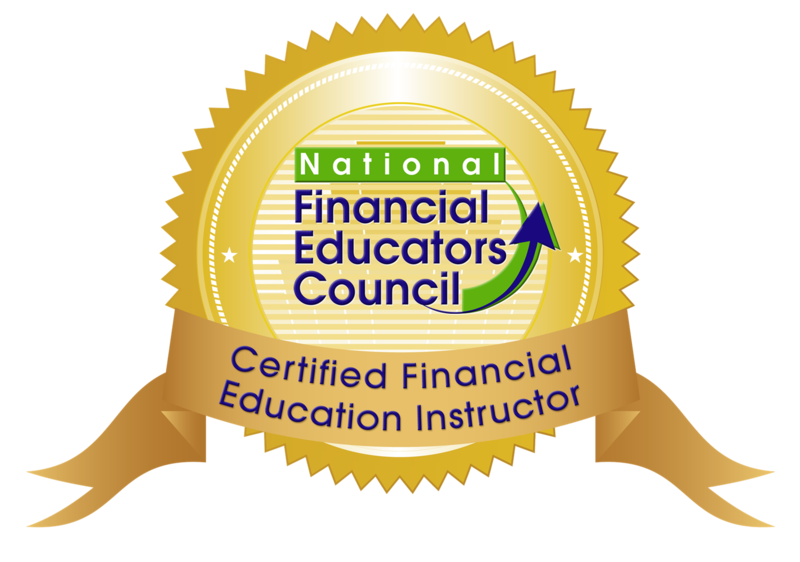 Read about our program that allows you to keep the same payoff term. Mortgage Paid Off in 10 - find out about exciting programs that help you pay your mortgage off in 1/2 to 1/3 the time. After the Modification - You finally have a mortgage you can afford. NOW WHAT? 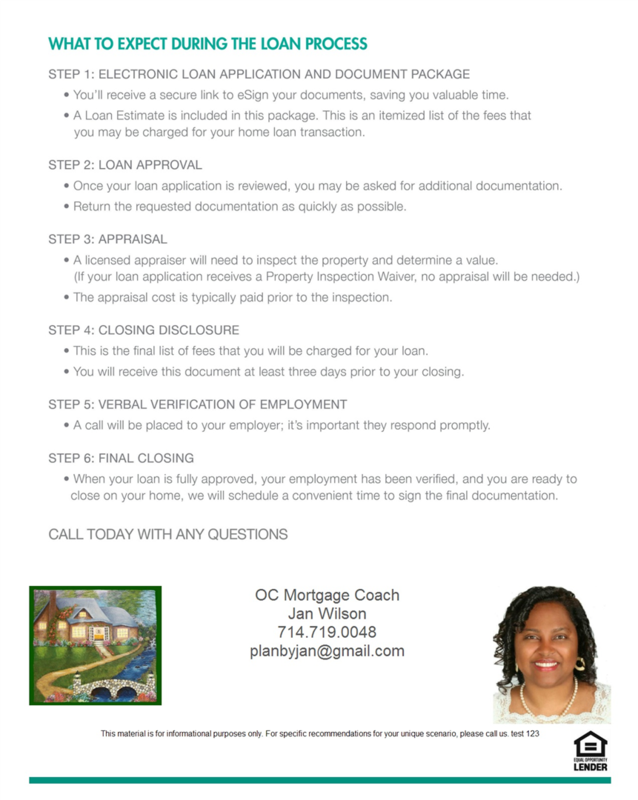 Remember, we will be glad to help advise and direct you with your home financing needs. Call us at 714-903-7750 or complete the information below with your contact information and we will contact you shortly.